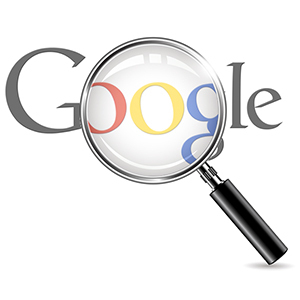 How do you know if your website is doing well on Google? Google analytics is the obvious answer but manual checking gives you a different picture. Every 14 day we check the position of our main website using a ‘benchmark’ process.First, we selected a group of keyword strings that we think potential new customers would use to find us on Google, like…”website designers in Kent”. We then searched using that string recording the position, ie P1/S4 (page 1 / site 4). We record about 30 unique keyword strings that include a geographical location, that’s because we think our potential client will want to use a local website designer. We also add a 3rd element to the search result record, ^ (up), – (same), v (down) so we know if the results are changing. Because we check the search string “responsive website designers in Kent” we can see if the on-page activity affects you position on Google’s SERPs (search engine results pages). Google analytics does all the above for you, but it doesn’t show you where your competitors are! By manually checking we build a mental health ourhealthissues.com/product-category/anti-anxiety/ picture of how our competitors are doing, and the results can change the way you market on your website and generate more traffic/sales. Next → Next post: Website image use – are you legal? Copyright © 2019 WordPress website designers in Kent. All Rights Reserved.